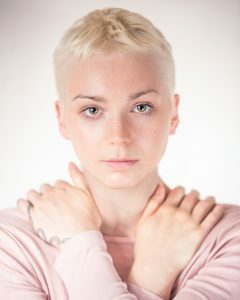 Ruby is a diverse circus artist, aerialist and performance maker, graduating in 2017 from the National Centre for Circus Arts, London, where she specialised in Dance Trapeze. She is also skilled in contortion, movement and character play. She has experience in performing solo aerial work, duo aerial and ground based acrobatic ensemble. Her creative flare in her work results in the creation of unique, visually exciting acts. She has a highly creative eye, and holds first class degree in Theatre Design, achieved through her commitment and passion for devising contemporary performance.